Please welcome Tricia from 99 problems, and a book ain't one! When did your book love begin? My love affair with books began when I was a child. We had this great used book store by my house and I remember riding my bike up to it frequently and finding so many great books. They used to do trade-ins too so once I was done reading I could go right back and trade them in for something new. Clearly before my book-hoarding days lol. My blogging mostly started by discovering that there were actually places where reading enthusiasts could go just to talk about books! Before 2011 I had no idea book blogging was even a thing. Once I found out, I couldn't get enough of reading other people's thoughts on books they've read. From there it progressed pretty quickly, I started commenting and interacting with other bloggers and sharing my thoughts. So when my best friend suggested we start a blog together in 2012 I thought it would be a lot of fun and jumped right in! Absolutely! First and foremost, professionally I made a huge change almost 2 years ago and it all started with blogging. I reviewed an early copy of a book I received from NetGalley and ended up connecting with the author afterwards. We hit it off right away and after a few months of becoming fast friends she offered me a job. Somehow this hobby turned into an actual career, working with one of the things I love the most, BOOKS! Secondly, the book community in general has been overwhelmingly amazing! In a world, especially now, where things are so turbulent and you see so many negative things floating around every day, the book community has always been so welcoming and supportive, and an all around very positive and refreshing place to be a part of. Booklikes people most especially! 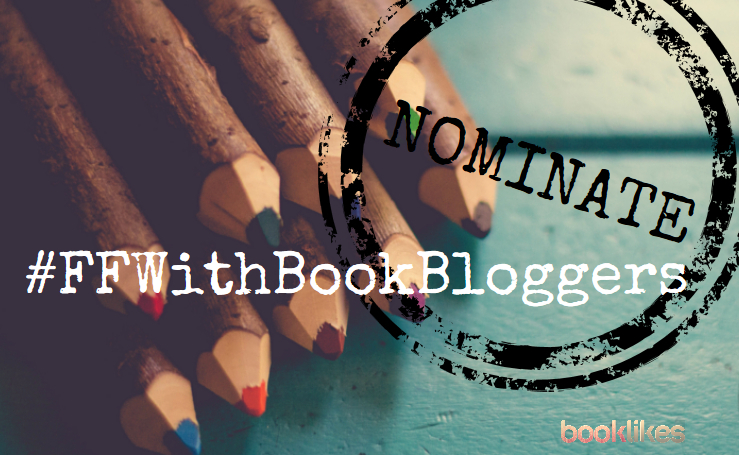 When I started blogging I never imagined I would connect with so many new people in ways that went beyond just our love of books. I honestly feel like I found MY PLACE because of blogging. Somewhere I just fit seamlessly, surrounded by kind, smart, truly wonderful people. 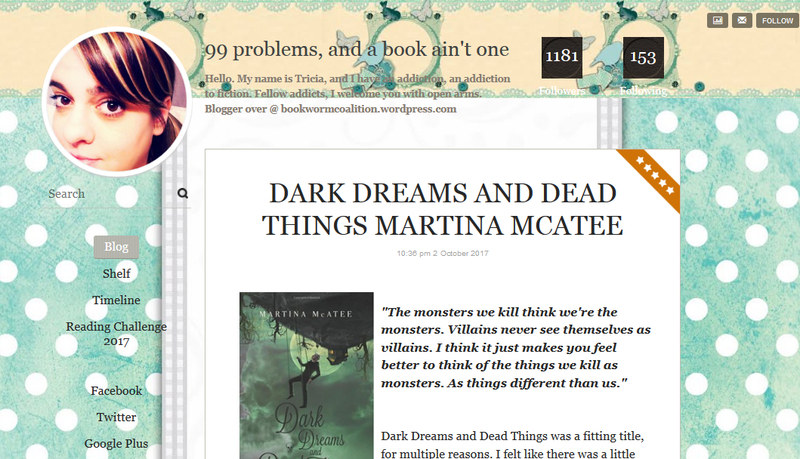 Lastly, I'd be remiss if I didn't mention the outrageous amount of incredible reads that I've found because of blogging! Whether it be from a fellow blogger’s glowing review or from an author or publisher wanting to share a new book with me. I mean it is just incredible all around! I never thought people would be approaching me asking ME to read their stories and share my thoughts. I've come across so many amazing stories that I otherwise likely would have not known about to even give a chance to, and that is 100% because of blogging. I truly enjoy a good mix of everything, variety is the spice of life afterall! But Fantasy has always held a special place in my heart. The only limitation in Fantasy is imagination. I started out reading books like Matilda, The Indian in the Cupboard, Where the Sidewalk Ends, and it hasn't stopped there. It is a little bit of magic right in your hands, and if you ask me we could all use something fantastic in our lives once in awhile. 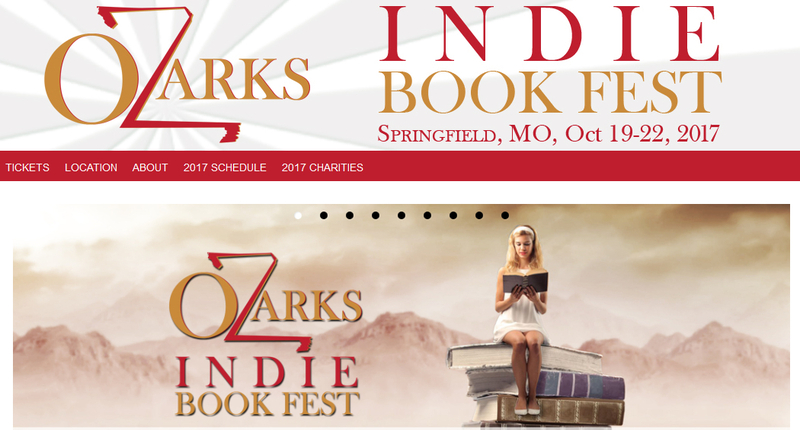 You are an Official Blogger for Ozarks Indie Book Fest 2017. That sounds big, congrats! 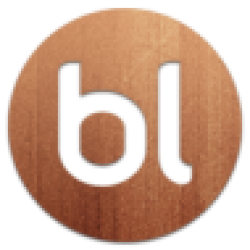 Can you tell us more about the event and your blog’s role. When I was first approached over a year ago by a fellow blogger, and a founder of OIBF, to be an official blogger for them I was honored and a little overwhelmed. I had never done anything like that before and I had never even attended a book festival before then. We talked a little more about what it would entail and it is an awesome event for a great cause so I had to join. As an official blogger for them I basically use my blog to help spread the word about the festival itself, as well as the charities, authors, sponsors, location, and events within the festival. Oh man, that is a tough one, I love so many! 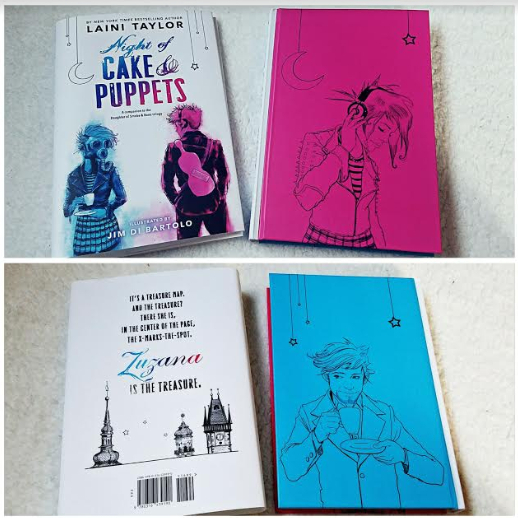 I am totally over the moon for Laini Taylor’s Night of Cake and Puppets right now. Not only is the dust jacket gorgeous, but the naked hardcover is absolutely stunning as well. And I usually find myself removing the dust jackets when I read hardcovers so I really appreciate something so beautiful hiding underneath as well. I also adore E.J. 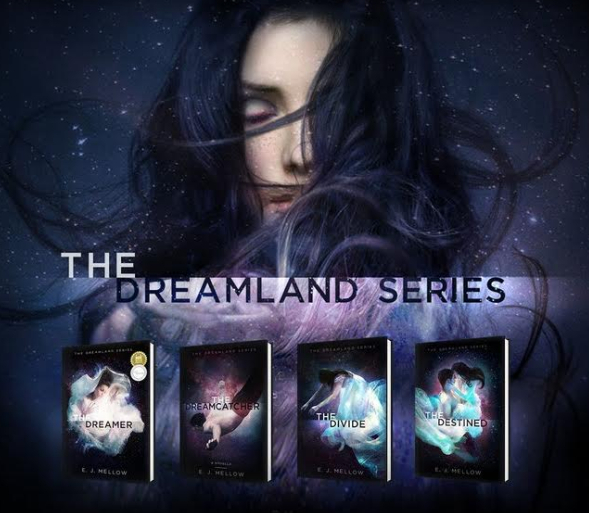 Mellow’s Dreamland series covers. They are so beautiful. The underwater shots with a woman in a gorgeous gown flowing around them, just so pretty with a hint of otherworldly at the same time. 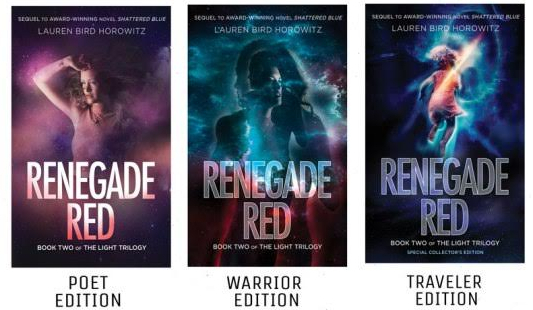 Lastly, I love Lauren Bird Horowitz’s covers for Renegade Red! Yep, that's right covers, plural. Such a cool idea to show an extra piece of the story using 3 different covers, each representing something different and powerful happening within the story inside. And collecting them all is so rewarding for a book hoarder like myself! You’re reviewed over 400 books on BookLikes. How do you write book reviews, do you make notes during reading or review ad hoc the day you finish the book? Oh my! 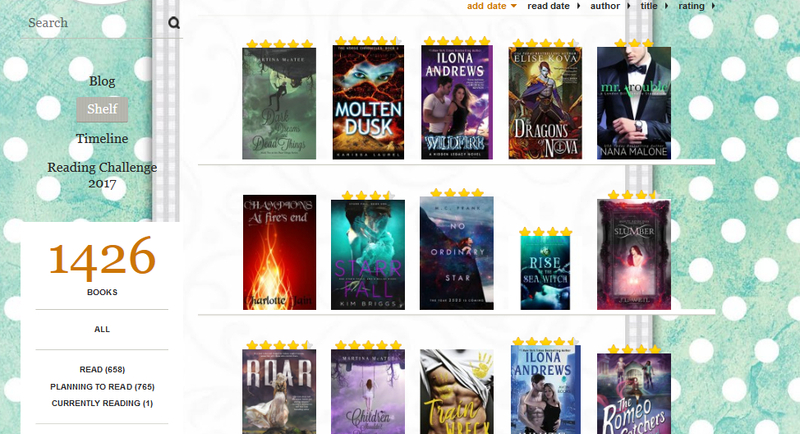 I actually had no idea how many reviews I've written here haha. I feel pretty good about 400+! Typically I prefer to just write a review all at once right after I finish. I feel like for me, if I write them right away it is very fresh in my mind and I tend to remember all the little details I want to include. Once in awhile if I'm reading on my kindle I will add a rogue note or two in there if something great jumps in my head in the moment, and I love the highlighting function, I use that constantly to help keep important things easy to look back up for the review. When I think of fall I naturally think of Halloween and the supernatural. I love a good spooky story and this time of year, when your surroundings are so befitting of that spookiness, tis the season! Bring on the spine-tingling goodness! One of my favorite series is the Experiment in Terror series by Karina Halle. Think Ghost Hunters in book form, with other supernatural creatures lurking about too. It is fun and frightening and the main character is so darn relatable, I just love it all! Also, I am a huge Stephen King fan and he has so much of his stuff coming to the big and little screen right now, It is already out in theaters and Gerald's Game and 1922 are coming to Netflix soon. I highly recommend reading the books before watching the movies/shows! And I don't know about you but I am pumped for Sleeping Beauties which he co-wrote with his son Owen. I pre-ordered that one as one of my extra Book of the Month picks next month. A picture really is worth a thousand words here! 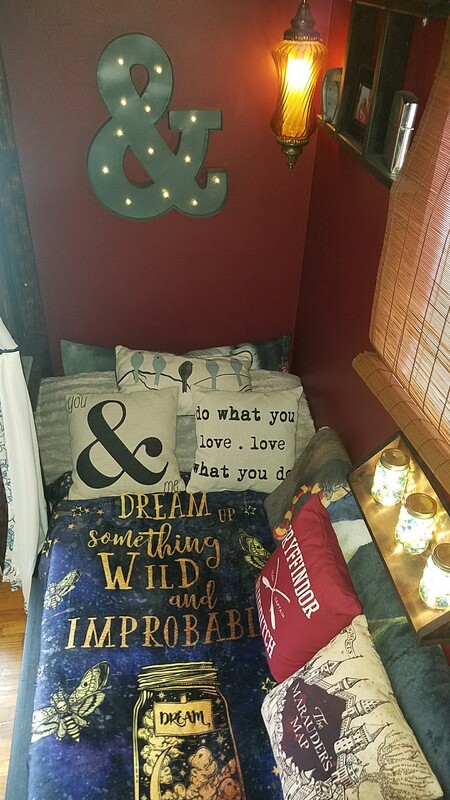 A few years ago for my birthday my handy dandy guy built me this magical reading nook in our spare room. 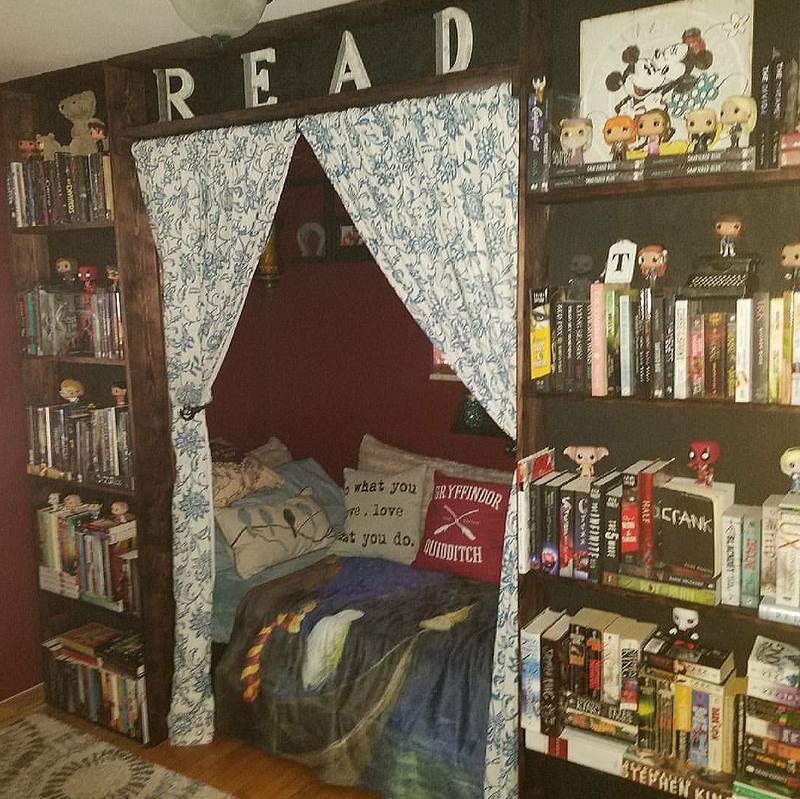 I love curling up in there with my beagle and getting lost in a great book. Both. I love the experience of reading a physical book, the turning of the pages, the feel in your hands, even that special book smell! On the flip side, e-books are so convenient. You have a limitless library at the tip of your one-clicker and it is so easy to take them all with you wherever you go. Plus I love reading in bed at night, and e-readers are ideal for that. No booklights to constantly shift around and having to reposition the book 156,954 times because it is bulky and won't sit just right. Three titles for your best friend? Does this mean picking actual book titles for my best friend? This is awesome! In advance, I'm sorry we're weird. 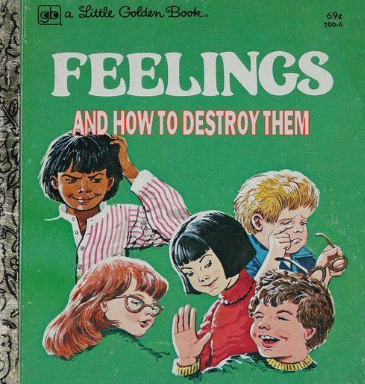 How to be Inappropriate, Feelings and How to Destroy them, and The Zombie Survival Guide. Any friendship worth its salt has bore a zombie apocalypse discussion/plan...right? Another tough one! This one is definitely a favorite and also something I believe in fiercely. 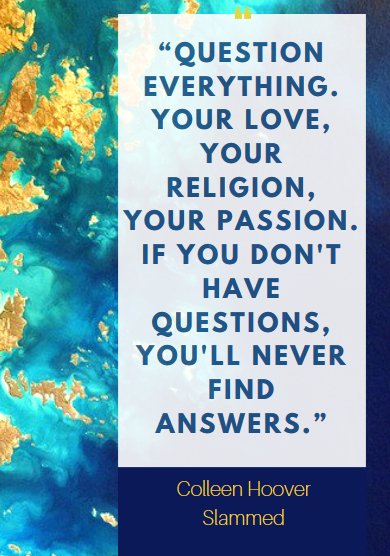 “Question everything. Your love, your religion, your passion. Eeekk! So many! I guess I'd have to go with Stephen King though. His books were such a big part of my reading life throughout the years. I started reading King books as a kid and I haven't stopped yet! Thank you so much for including me in Follow Friday this week!